We’re having an identity crisis. After spending the last 5 years painstakingly designing the bestest and wittiest political t-shirts on both sides of the Atlantic, we’ve finally released plain t-shirt multi-packs, and you know what? They are outselling our printed tees. 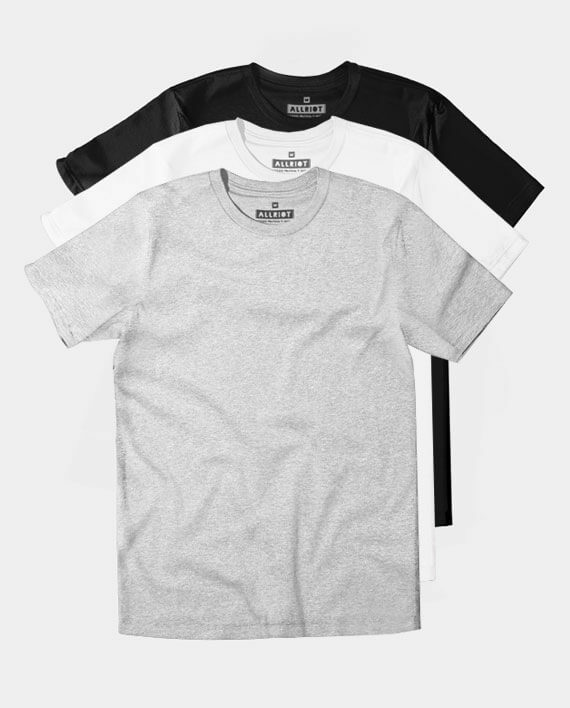 ✔️ Yes, our t-shirt blanks are pretty damn nice. ✔️ Yes, you’ve been begging us for years to offer plain tees. ✔️ Yes, they are ethically produced, vegan-friendly and gender-neutral. While our designer is getting counseling, we’re off to drown our sorrows in G&Ts.